Rolling a joint with a dollar bill. A simple joint rolling technique. 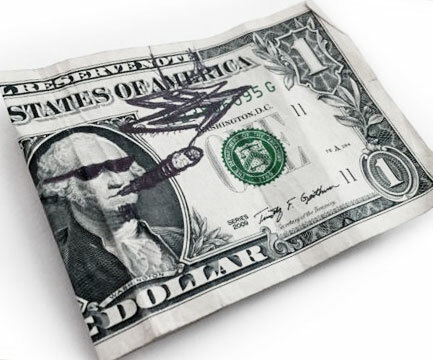 How to roll a joint with a dollar bill. 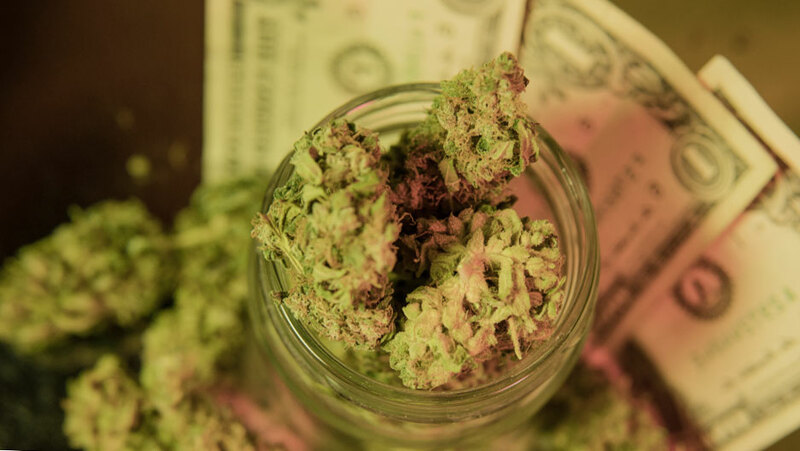 Rolling a joint with a dollar bill is a simple joint rolling technique that any person can learn. The idea in rolling joints with a bill is to simulate the effects of using a cigarette rolling machine. Grind up herb into a fluffy yet flaky consistency. center of the bill STICKY SIDE ON TOP and evenly distribute your herb. Rolling a joint is fun with a bill. Pinch the bill together with the joint in between. With your thumbs and fingers gently pinch near the end where the herbs are with both hands and start sliding the bill up and down. (The goal is to evenly compact your nug so it can take to form of a cigarette) CAUTION: Do not over pack it by squeezing too hard. It will burn incorrectly. Once your buds are evenly compacted, but not too compacted, it is then time for the roll. Slide the thumb side edge down to so the herb rolls to the front edge of the paper. Now slide your bill up slowly and tuck the front edge under by pressing down with both thumbs on front edge of paper. Once you have tuck the front edge under continue to roll the bill up but DO NOT COMPLETELY FINISH THE ROLL. You still need to lick the gummed edge of the paper so it will hold sticky. Do this by opening up the bill while keeping pressure on the joint and exposing the edge needed to be licked. Lick it. Then finish your roll.